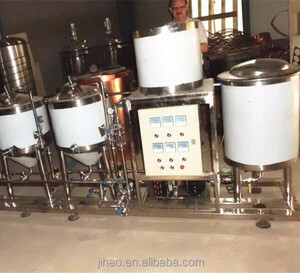 Mini beer processing brewery equipment Microbreweries are usually independently owned. Such breweries are generally characterized by their emphasis on flavor and brewing technique. 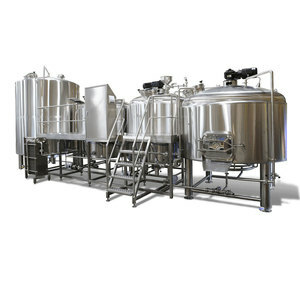 Our service includes: complete microbrewery equipment, installation, recipes of branded beers, staff training etc. There are many combination modes for customer to choose. 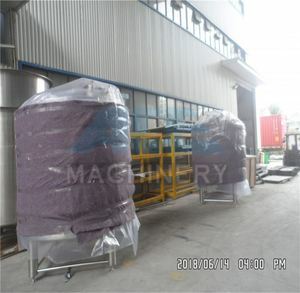 All the tanks will be covered with thin plastic film. The great products and perfect services have won the trust of our customers. 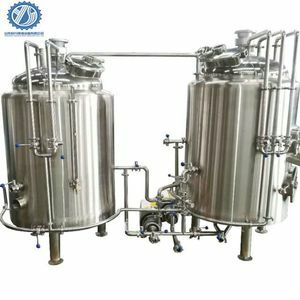 Shanghai Goldcheer Machinery Co., Ltd.
2000L brew house: It is large beer brewery equipment, the whole system will need a much larger construction area. 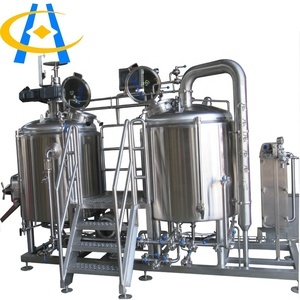 We will arrange the brewer and engineer to your city for the whole system connection and equipment assembly. 6. After loaded into containers, all equipments will be well fixed to the containers. Kegs washer and filler. 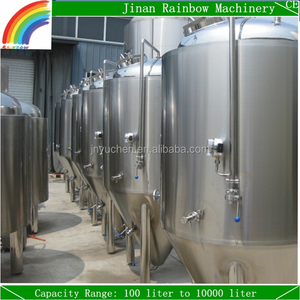 (one head or double head) Beer kegs(10L,20L,30L,50L.). 3. 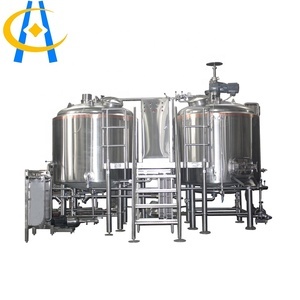 The brewer can also brew draft beer, pale beer, brown beer, stout beer etc. 3.Add hops in intervals according to recipe as solution boils. 8.After 4 -14 days of fermentation, transfer to a secondary fermenter. 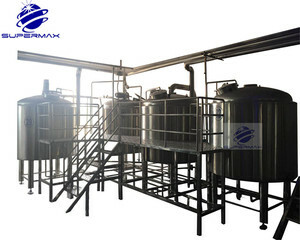 3.Q: Are you a manufacturer9 A: We are the manufacturer of beer brewing equipment for more than 10 years. Shanghai Goingwind Machinery Co., Ltd. 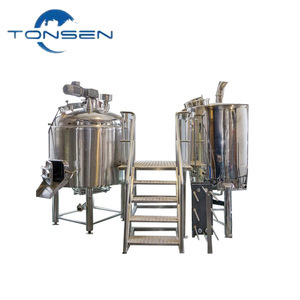 The main contents are: 1, high quality malt as the main raw material, process including wort production, beer fermentation production; 2, the main equipment configuration and technical requirements; 3, automatic fermentation control system. Packaging & Shipping Pre-sale service: 1. 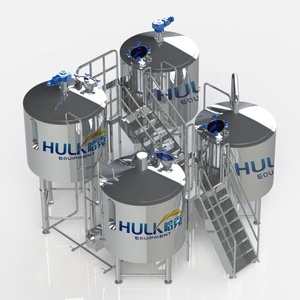 Our company provide free product technical solution, and give related technical lectures, help customers to meet the need of actual product selection and provide analysis on running economy. Sale service: 1. Our company provide installation instructions for the product and free training for the customer to product production technology, can arrange technical personnel door-to-door free training according to the needs of customers. It heat evenly and fast, also easy to control temperature, not scorching the pot. Direct fire If you adopt decoction mashing way, the wort is easier to scorch. We will provide you the best solutions as your demands.